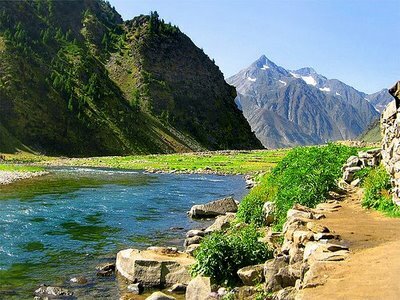 Naran is a medium sized town in upper Kaghan Valley in Mansehra District of Khyber Pakhtunkhwa, province of the Pakistan. 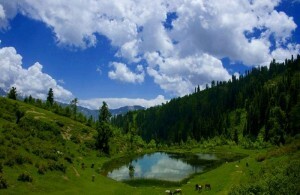 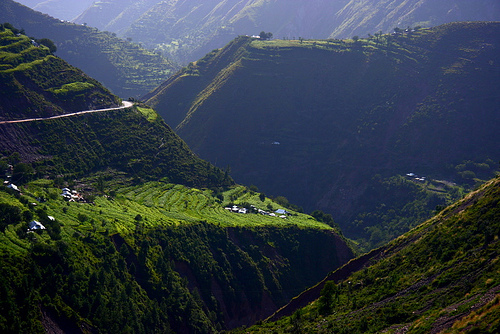 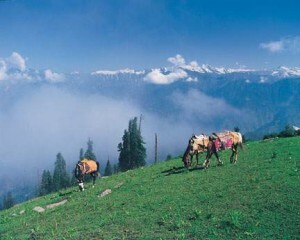 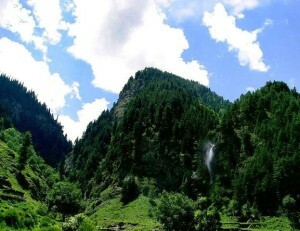 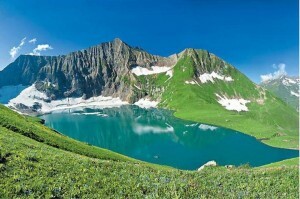 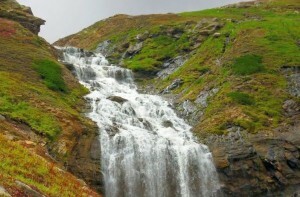 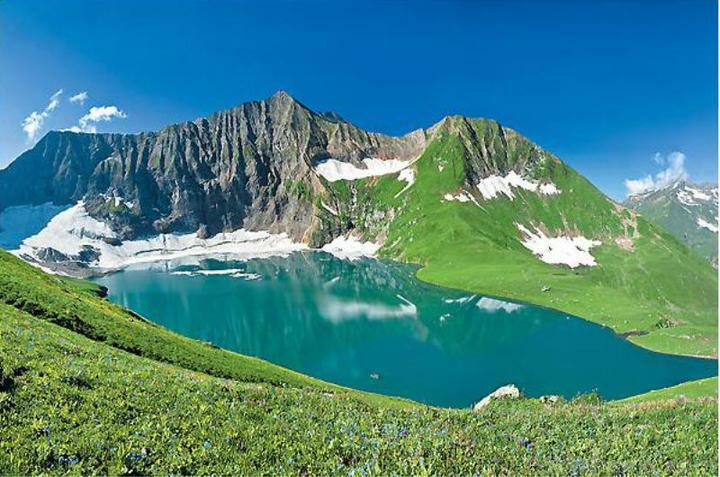 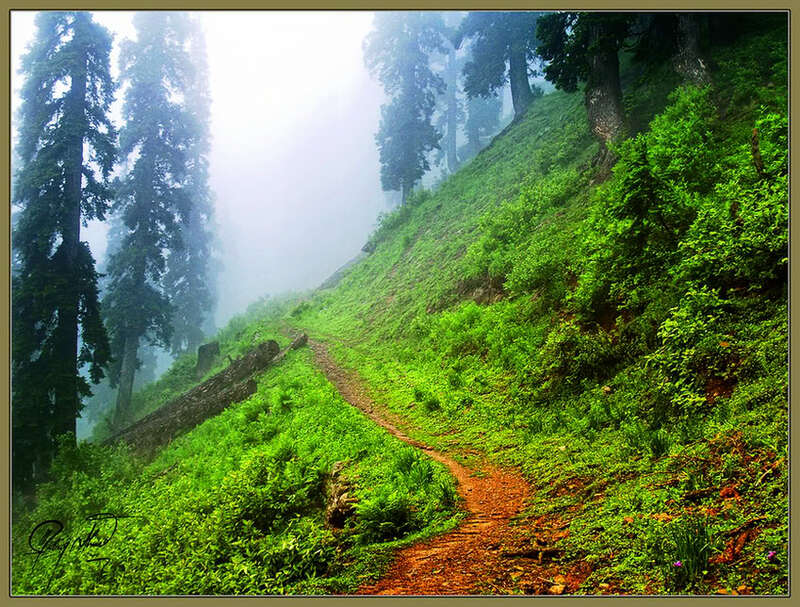 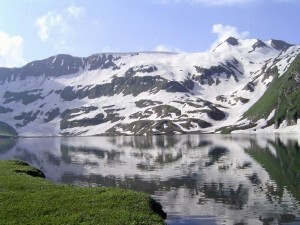 It is located 119 kilometers from Mansehra city at the altitude of 8,202 feet. 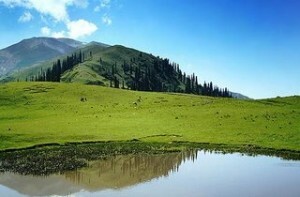 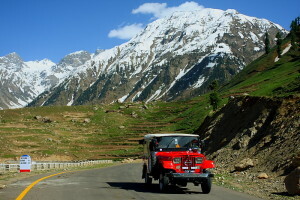 The 161 kms long landscape of the Kaghan Valley with its towering Himalayan peaks, peaceful lakes, majestic glaciers and splashing waterfalls is a scenic wonderland, ending northwards in the 4148 metres (13,600 ft) high Babusar Pass, jeep service is available in the valley during summer, while motels and rest-houses offer comfortable accommodation. 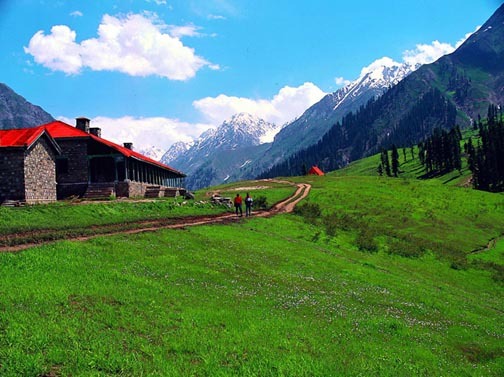 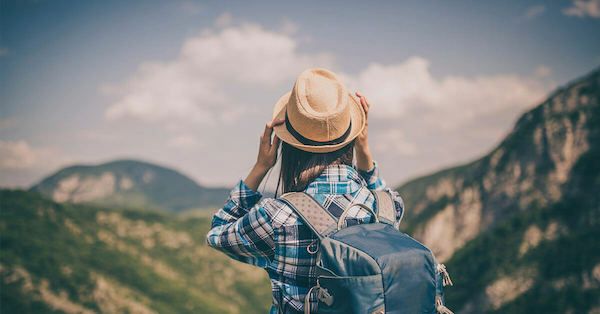 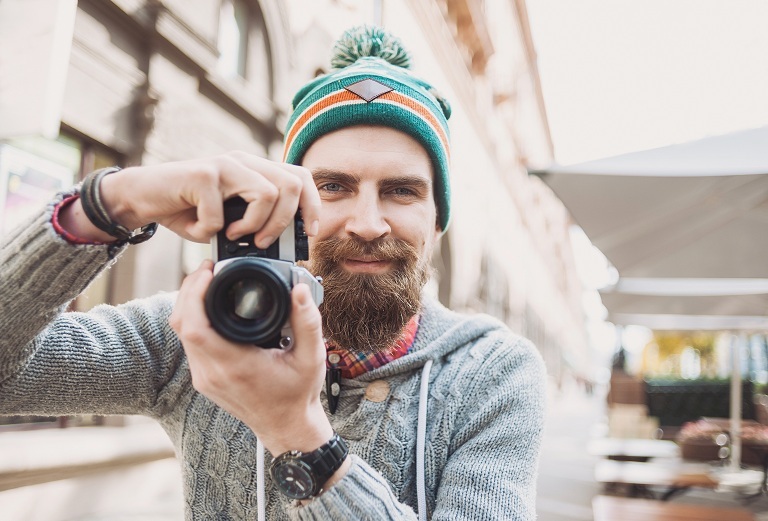 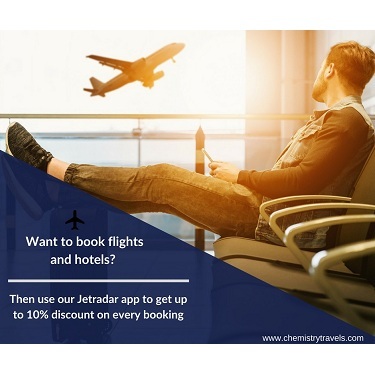 There is a PTDC stopover Motel in Bellyached and a big tourist resort in Naran which provides excellent accommodation with meals at reasonable rates. 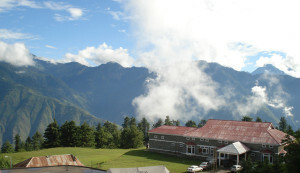 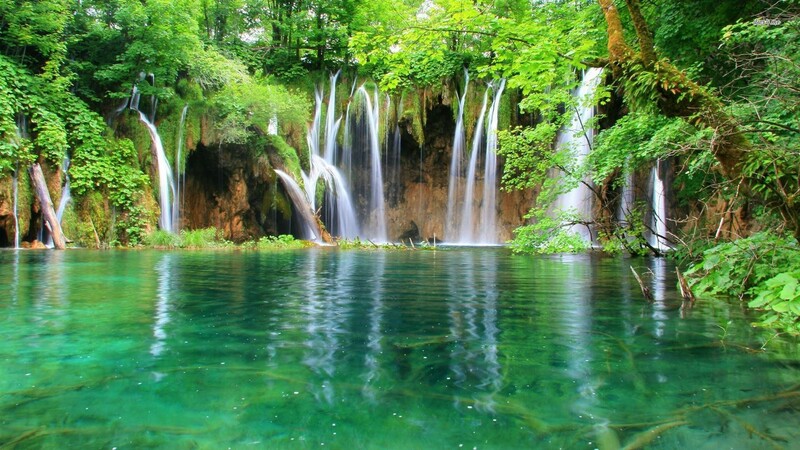 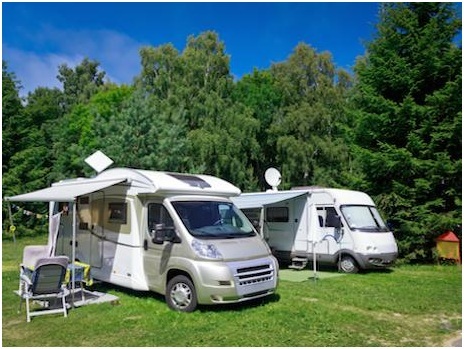 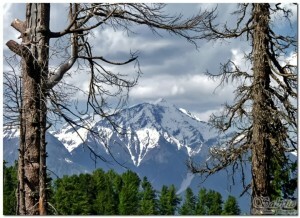 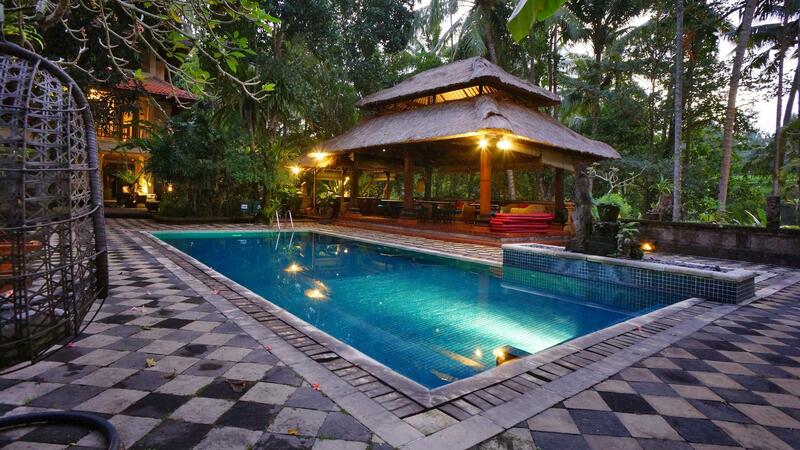 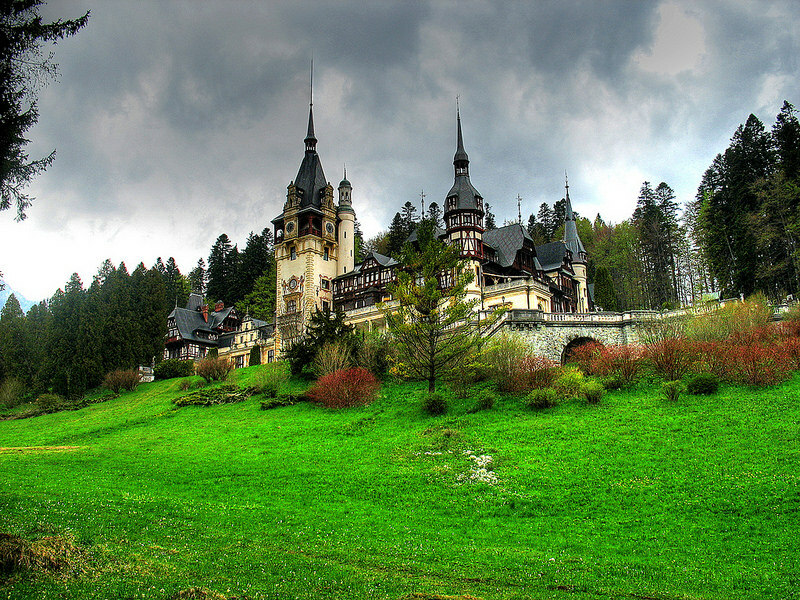 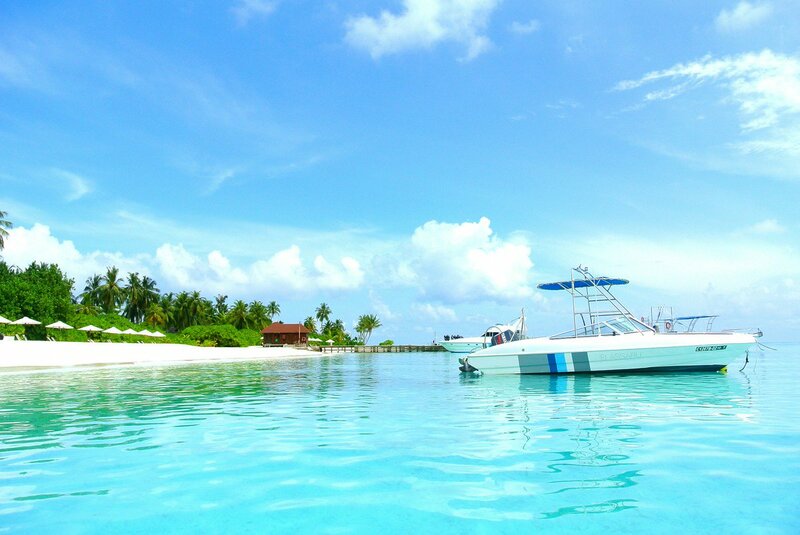 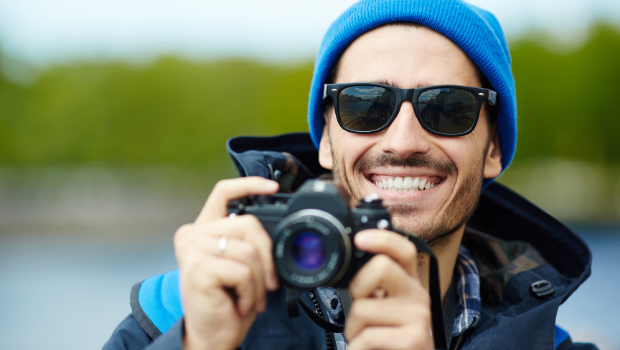 It is an ideal area for trekking and trout fishing. 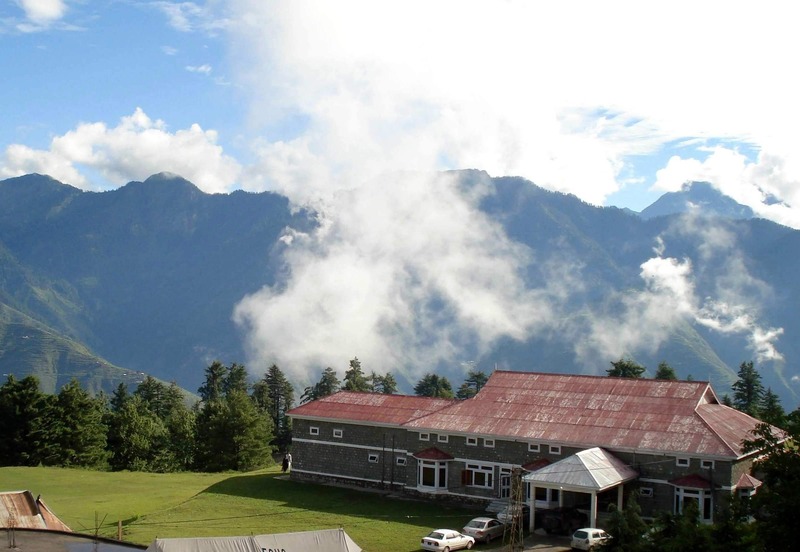 The adventure begins in Bellyached, a charming mountain village, from where a road climbs 34 kms up to Shogran. 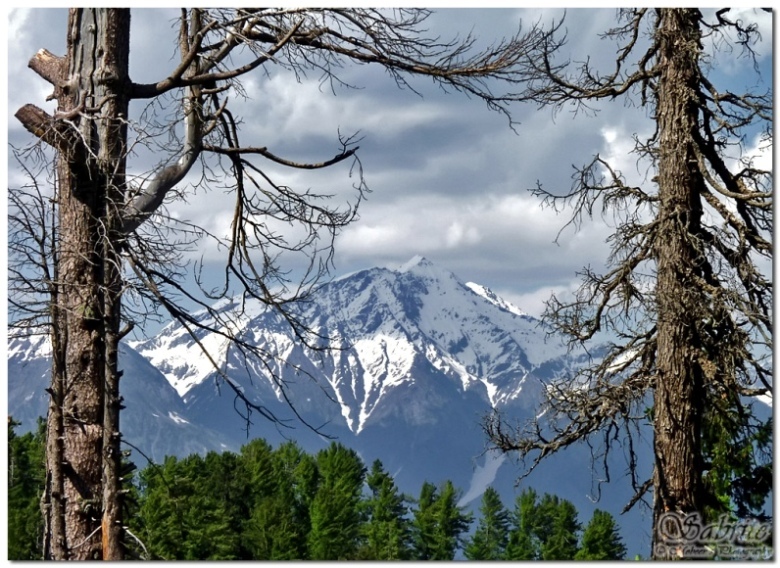 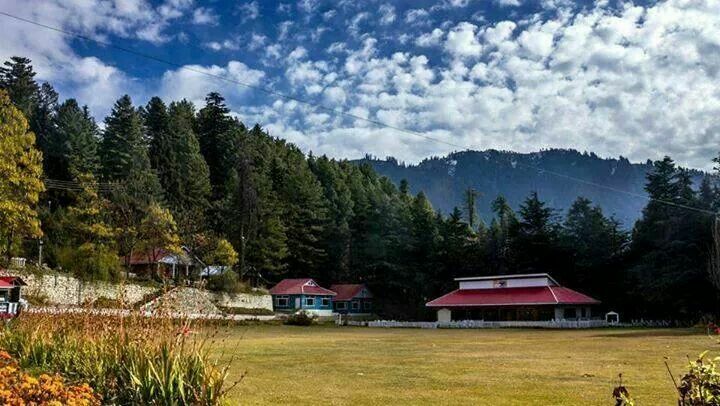 At a height of 2,362 metres, Shogran has thickly forested slopes and grassy meadows, which present an ideal setting for your first stopover. 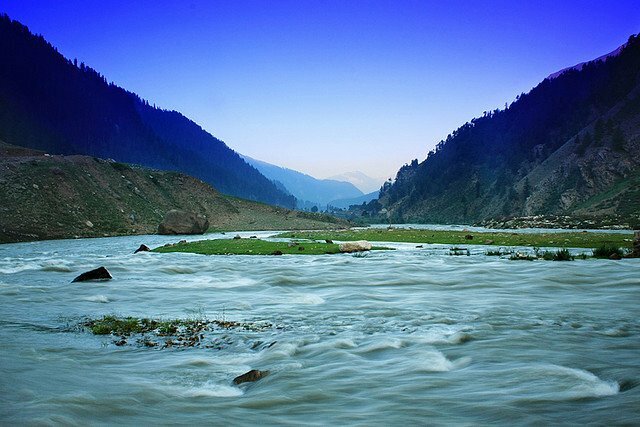 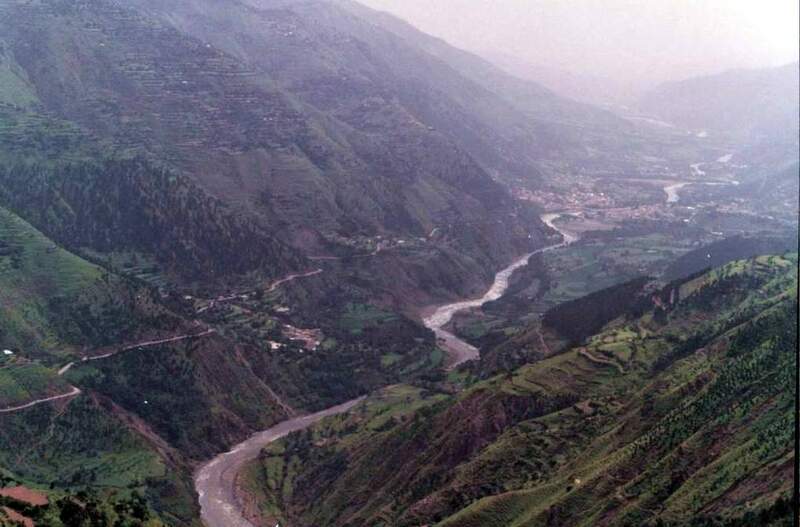 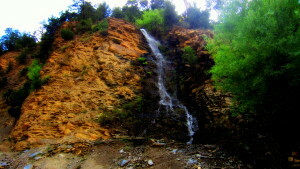 The raging Kunhar river accompanies the steep winding road which leads to the Kaghan village. 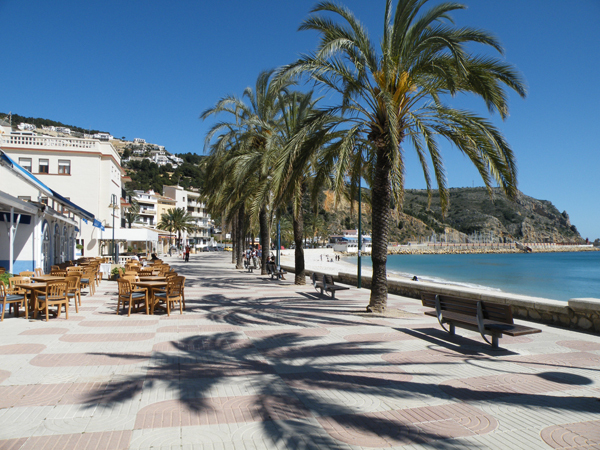 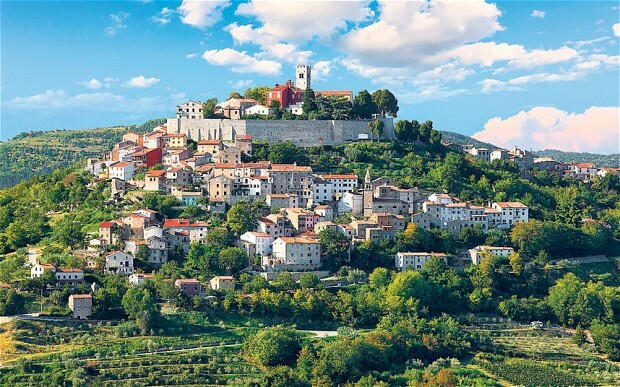 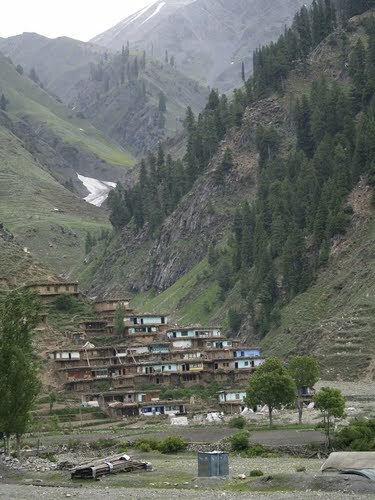 This little village, after which the valley has been named, is only 61 kms from Bellyached. 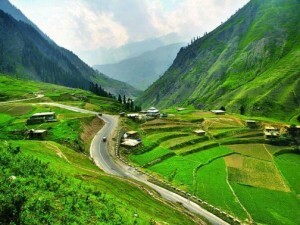 Between Kaghan and Naran there is a distance of 25 kms. 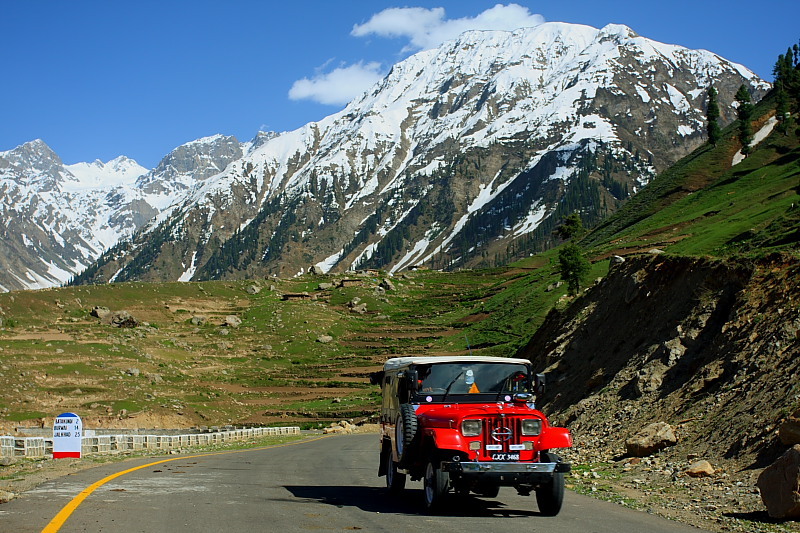 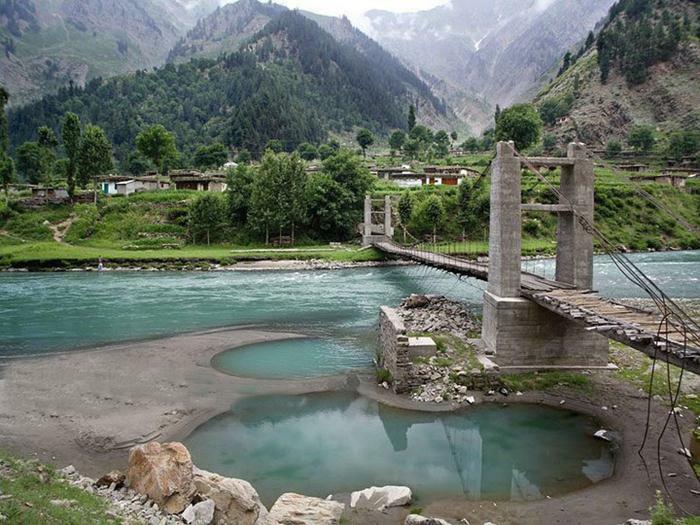 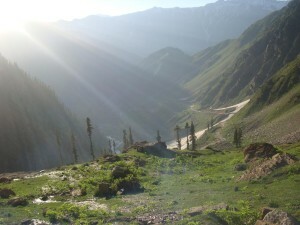 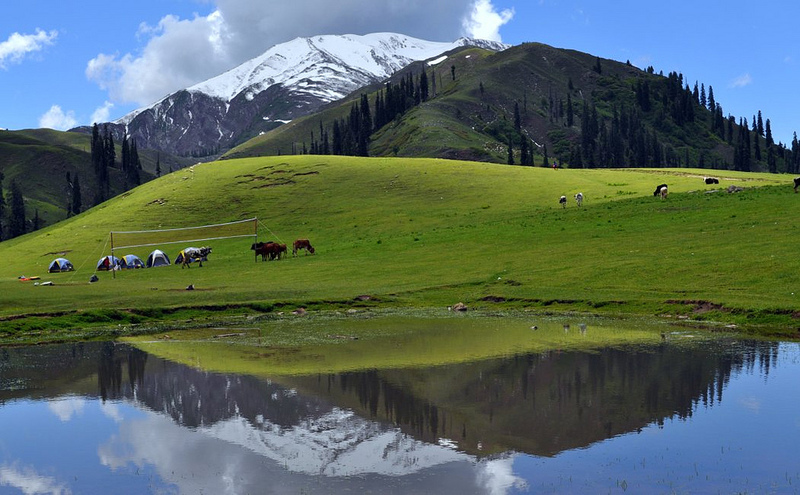 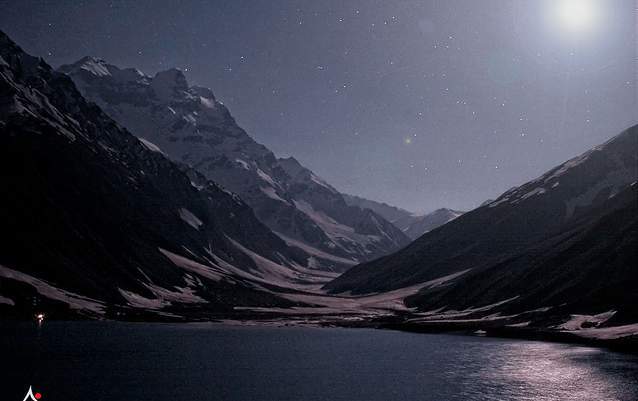 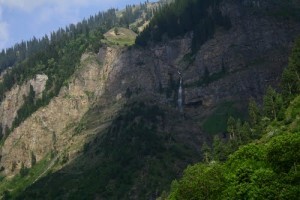 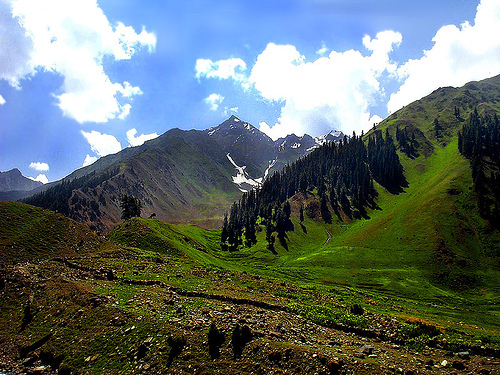 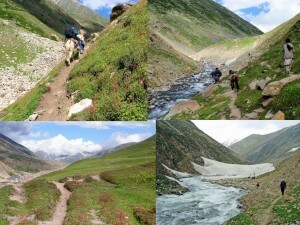 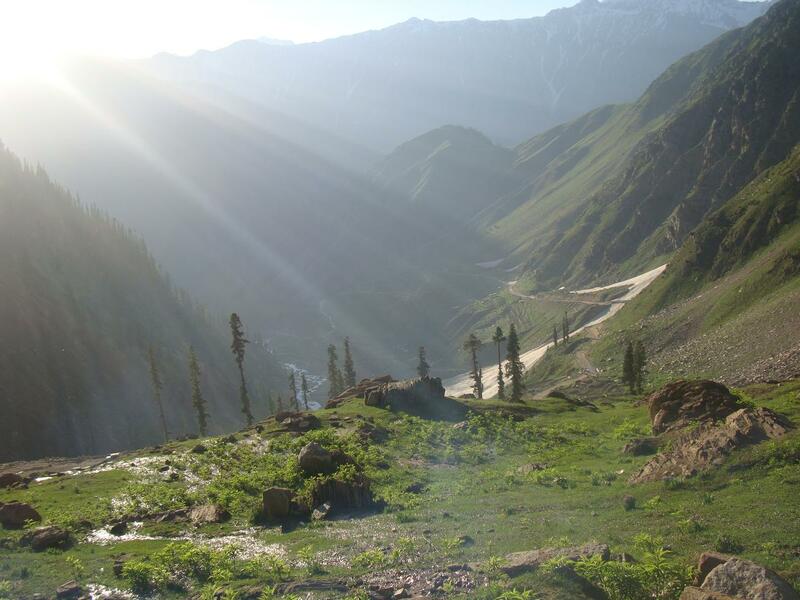 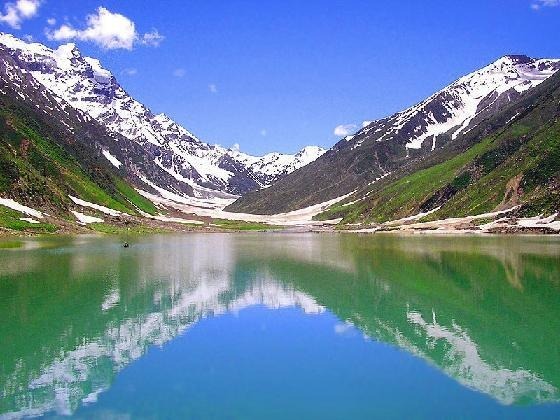 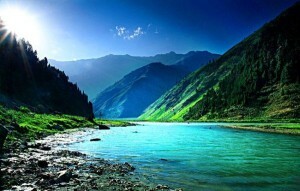 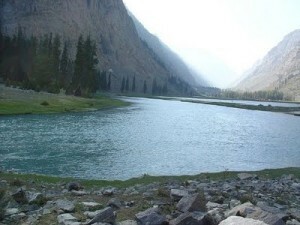 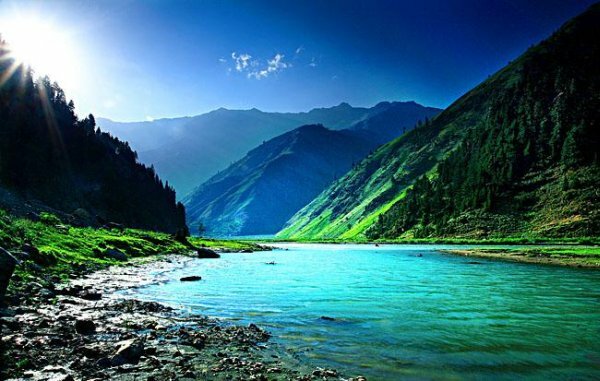 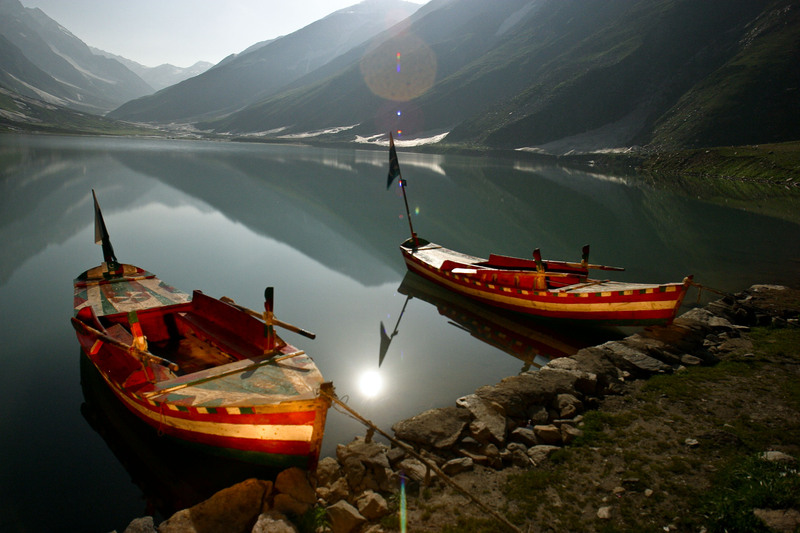 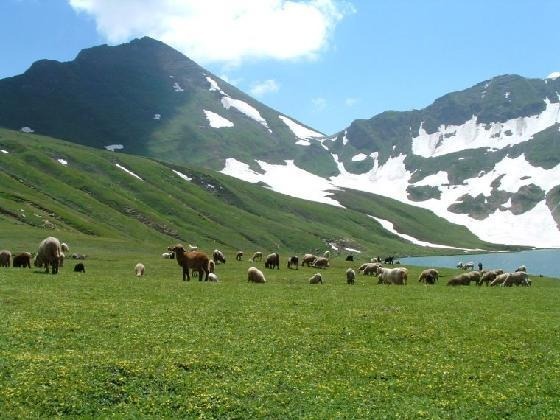 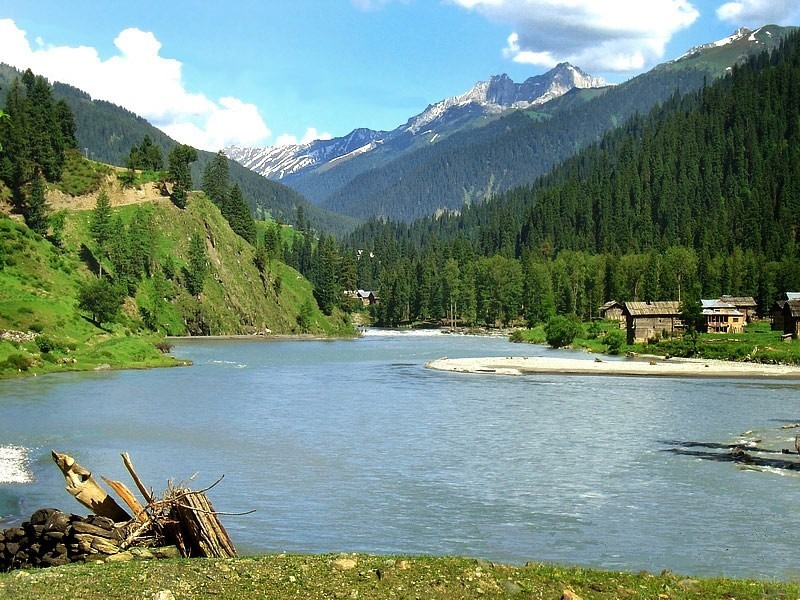 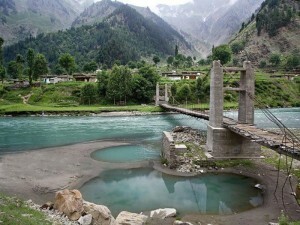 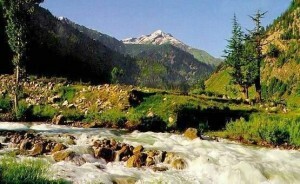 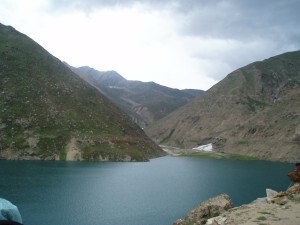 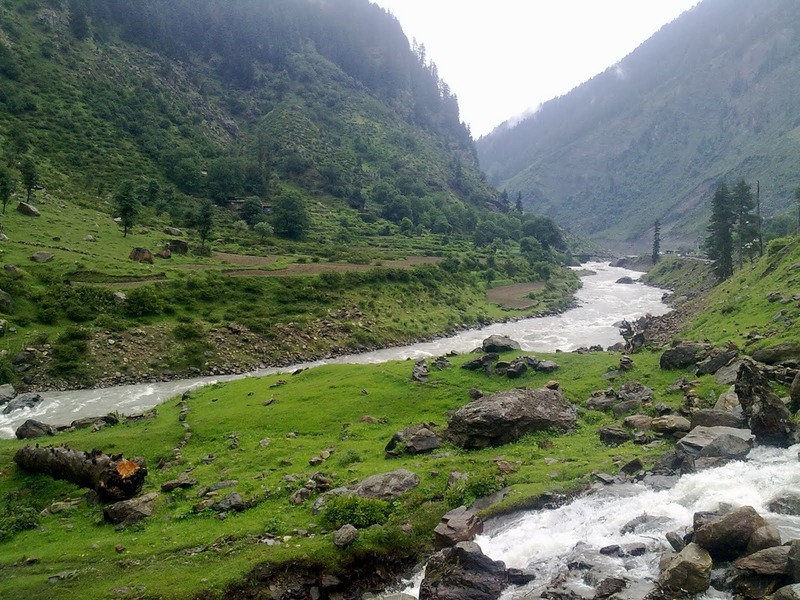 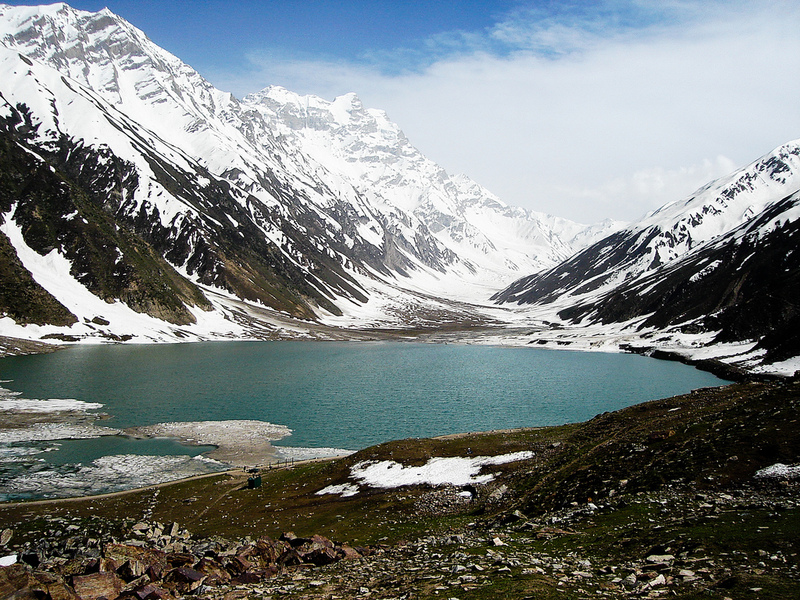 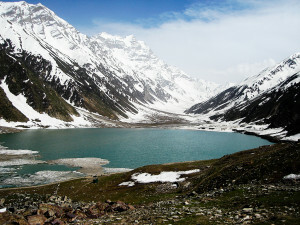 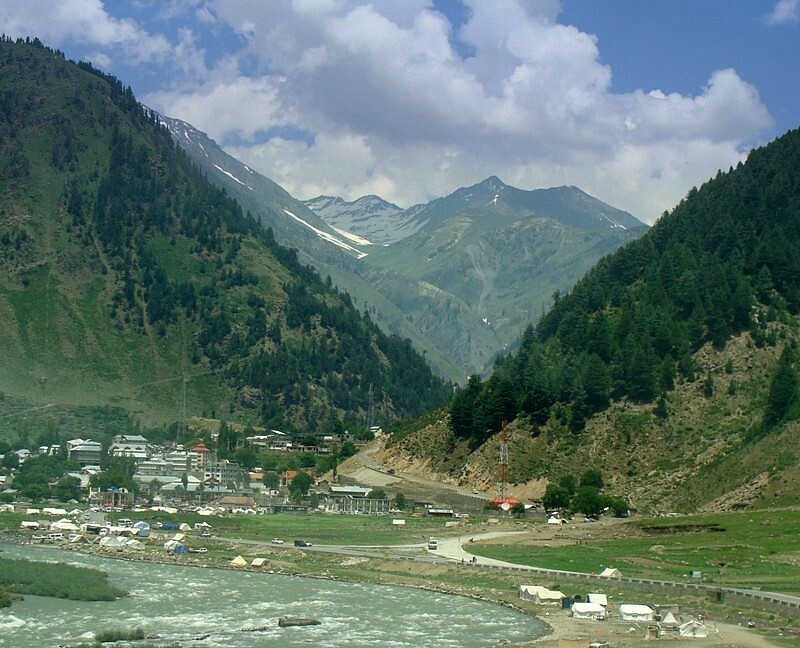 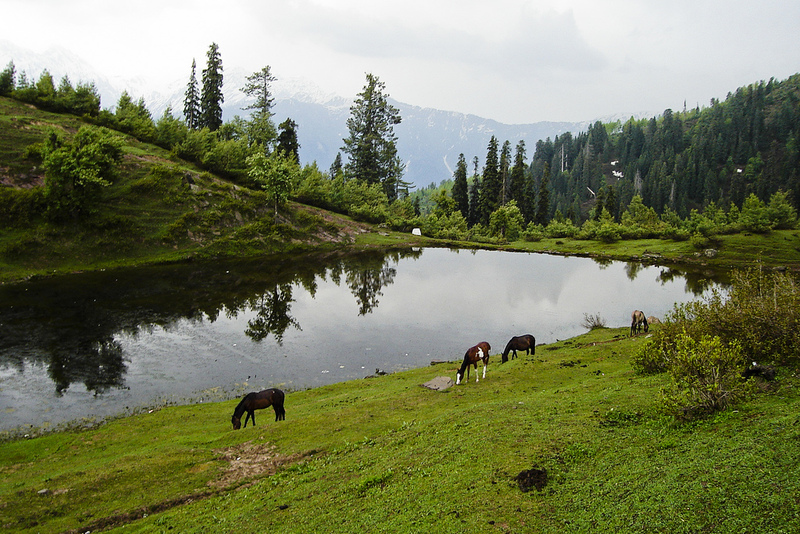 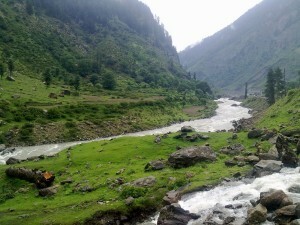 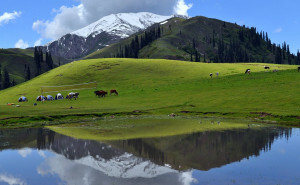 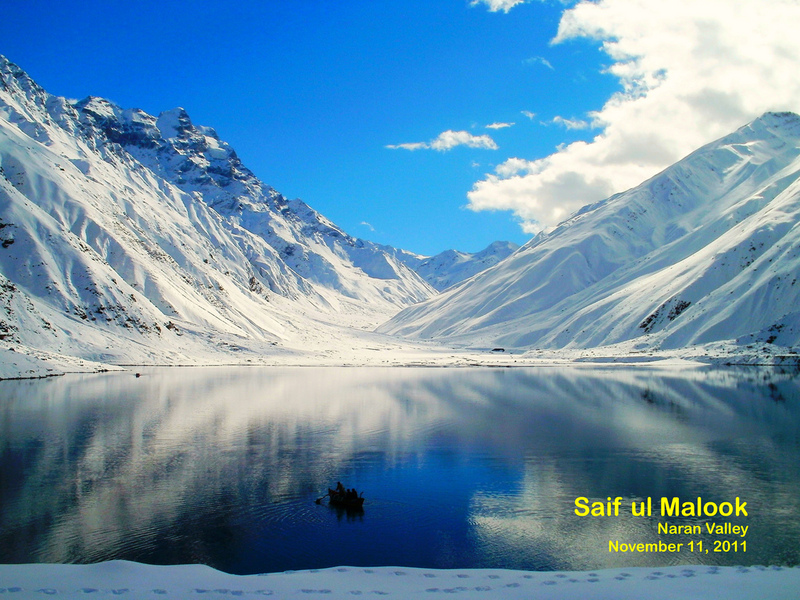 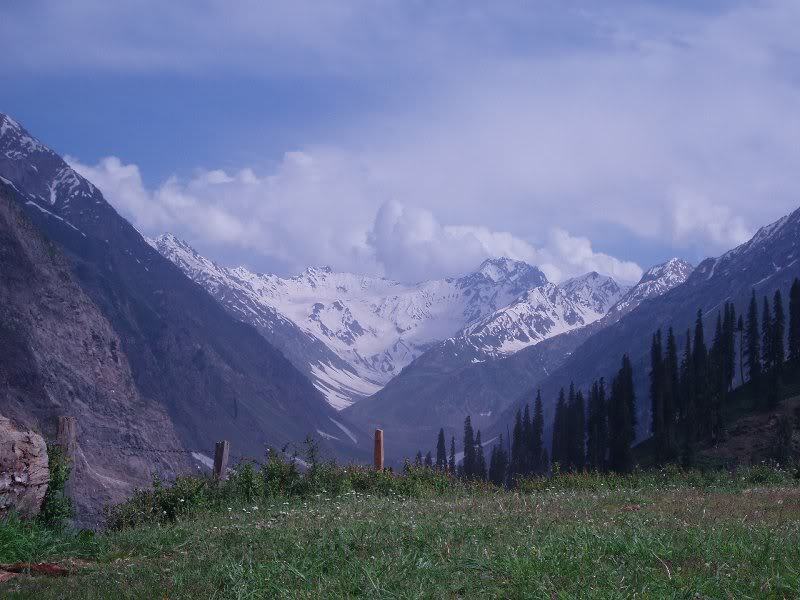 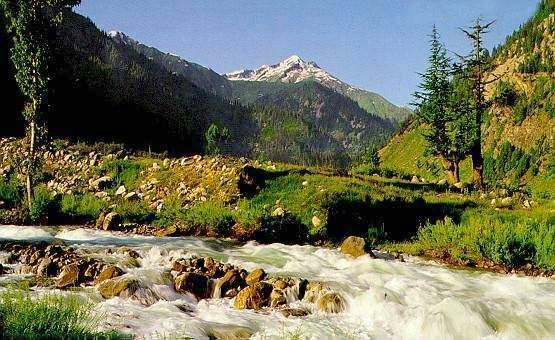 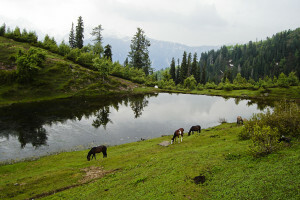 Naran serves as the base-camp for excursions to other valleys, lakes and peaks.